This book teaches the science of coatings formulation in two steps. Each section describes the chemical composition of and, especially, the binders for the type of coating presented. This is followed by formulation advice and an analysis of existing recipes (e.g. starting formulations). This analysis consists in calculating the important characteristic values of coatings, such as the pigment/binder ratio, pigment volume concentration and, as necessary, the hardener addition level. Finally, examples of how to develop a real-life coating formulation are provided in the case of the most important types of coatings. All calculations based on recipes and formulations are worked through step by step and should therefore be intelligible to beginners as well. The skills acquired in dealing with these recipes can also be employed in other applications, such as adhesives and sealants. 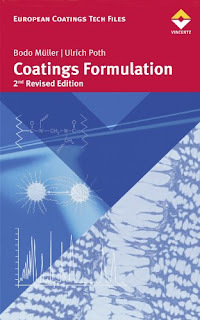 This book focuses on the coating formulation itself, and how to arrive at it. It seeks to familiarize laboratory assistants, engineers and chemists with the practice of formulating coatings. It will also serve as a reference work for all readers interested in paints and coatings.